Buying an RV is a big investment, one that will provide many happy memories of fun adventures for years to come. That is why it is important to finance your purchase in the best way possible. At Wilkins RV, our we take the task of walking RV buyers through the financing process very seriously. We are dedicated to making sure the entire transaction is a smooth and efficient process before, during, and after the sale. We work with local and national lenders that specialize in financing RVs to make sure you get the best financing terms possible. 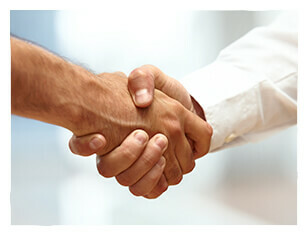 Our experienced business associates are here to help you get the best deal. Our business office will find you the best products the market has to offer to protect your investment. They will walk you through each product to find the protection that is right for you. There are many details involved in the purchase and delivery of an RV. Our experienced staff will walk you through every detail prior to the day of delivery of your new RV. We make sure the buying process seamless and hassle free, so you can be out on the road having fun as soon as possible. If you’re ready to get the financing process going, you can Apply Quickly and Easily Online. For more questions on financing a New or Used RV, Contact Us and our experienced business and finance associates will you get out on the road having fun!